Alan has just returned from a week fly fishing from the Avalon 1, Isle de Juventus, Cuba for a range of species…. 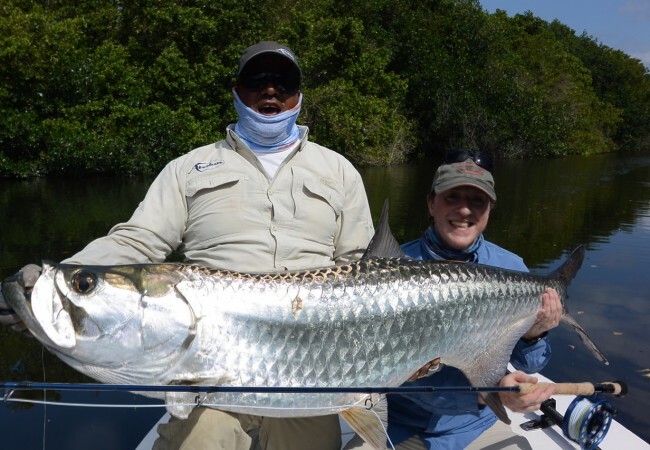 The Isle de Juventud Tarpon Week was my first hosted trip, and my first experience of live-aboard saltwater fly fishing. I wasn’t quite sure what to expect, but soon found any expectations I had to be totally exceeded, boating a 80-90 lb size tarpon on the first morning. My first one ever! 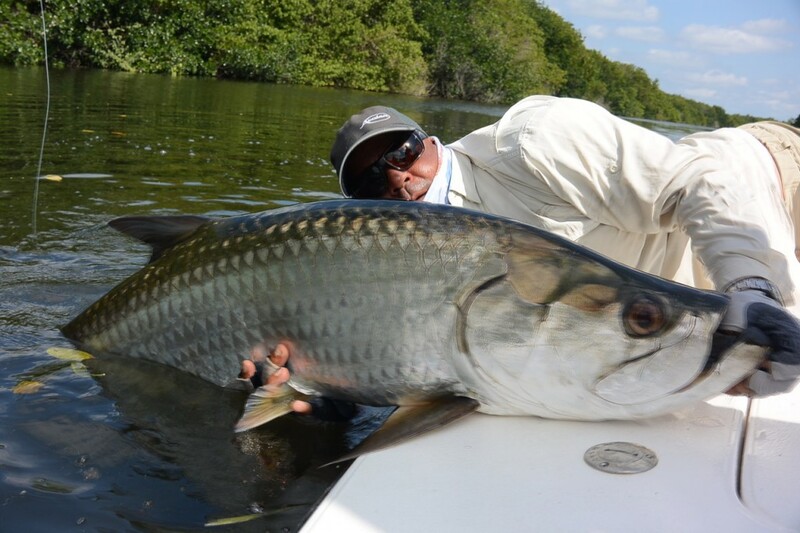 The fishing was fantastic throughout the week with a variety of pristine locations from ocean reef to mangrove back-country and huge flats, and tarpon to be seen on all of them. Our skiffs were the only other fishing boats we saw during the week, and the vast fishing area feels remote and untouched. 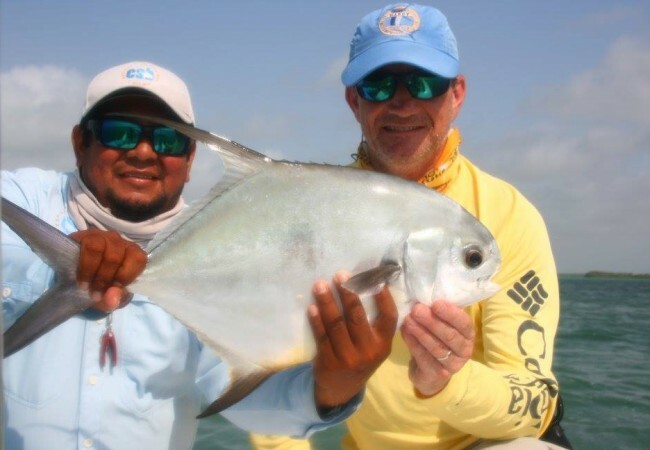 I jumped and boated tarpon throughout the week (as did everyone), as well as catching bonefish, a beautiful horse-eye jack that took off like a rocket, and several shots at permit. The experience of standing on the front of the boat, outside of the reef, with the sun going down while attached to 50 lb of cartwheeling tarpon will stay with me forever! The local guides are superb: hard-working, helpful and with a great sense of humour. They’re at their happiest when they’ve found a school of tarpon, and you’ve managed to keep one on all the way to the boat. The live-aboard experience was great. 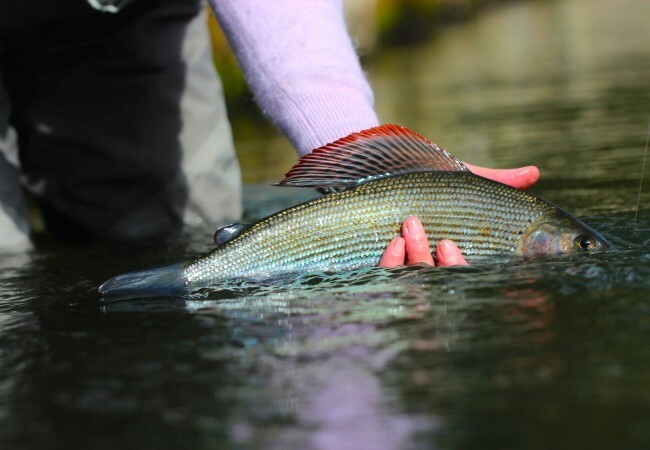 There’s more than enough fishing time during the day, with no time wasted on travelling to the skiffs, and time for a post-lunch siesta to recharge the batteries for the afternoon and evening. The group were great fun and excellent company, with everyone sharing the day’s stories over the pre-dinner mojitos. We had a free morning and afternoon in Havana at either end of the trip and it was worthwhile venturing into the city to soak up the atmosphere and have an excellent dinner before leaving for the airport. Mat and the Fly Odyssey guys were great throughout, with excellent organisation before and during the trip. 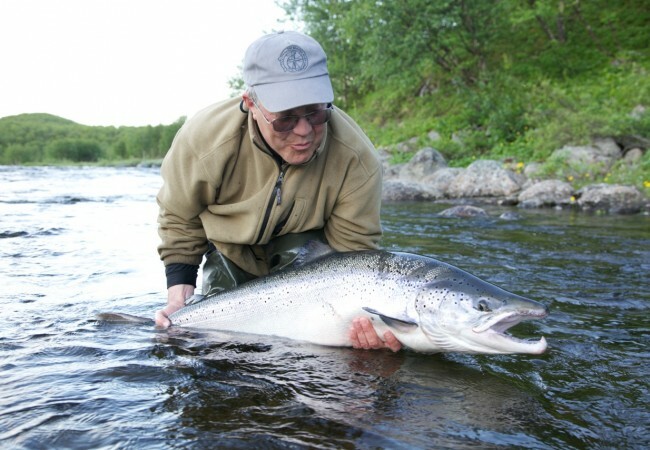 Kevin from Fly Odyssey was especially helpful, advising and providing my flies, leaders and fly lines for the trip. I would whole-heartedly recommend this trip. It was a real adventure and I hope to be able to make it back another time.